I went sailing with Sue at Chesil Sailability. I had my first sail with them. Sue took really nice photos with my camera. I went in an Access 303 boat with an instructor called Dee. She was very kind and helpful and the man David held my hand as I was getting into the boat because I found it a bit wobbly to start with but I was all right afterwards. I learned how to do a figure of eight knot in the ropes for the sails. I really like the new sailing base at Weymouth and Portland National Sailing Academy. It is really great fun. The lady Gill made me a mug of tea then it was time to go off sailing. The man Chris helped me in to the boat he was very helpful and kind. Sue took really nice photos of me with Dee in the same boat with blue and yellow sails . She helped me to steer the boat out of Portland and Weymouth sailing Academy it was my first time sailing out side the Marina. I also got a bit wet but it is great fun! The best bit I enjoyed was steering the boat and pulling the sails in! All the volunteers are very supportive and kind and they always help me in and out of the boat. I helped to put the boats down the slip way. I was very brave because I did it for the first time in my life but it was great fun putting the new boat in called Windflower. I learnt how to keep the boat up in a gust of wind and I helmed it round the yellow buoys with out Dees help. 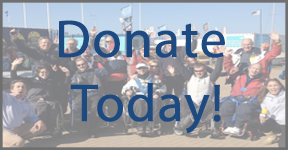 I am happy because I am on Chesil sailability Facebook with my lovely photos. It was a lovely evening. I guessed which way the wind was coming from - it was north west wind, to turn the boat around in the wind it was not easy, it was hard work but I did it all by myself with Dee. And I sailed around the yellow buoys that was the easy bit. I love sailing at Chesil Sailability, it is fun! 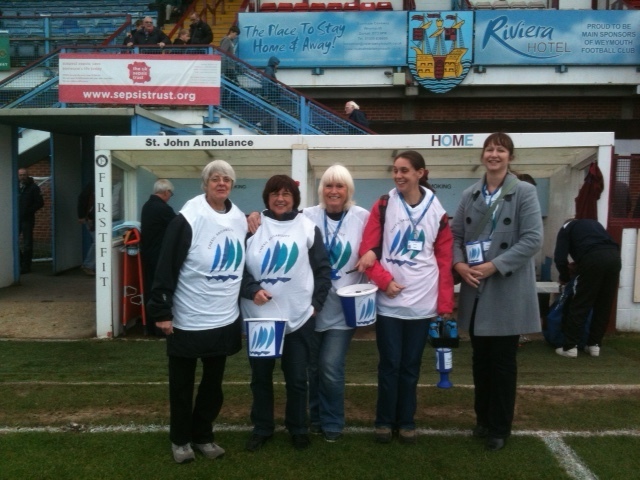 and we had free mugs of tea before we went out on the pitch for our photo to be taken. The weather was lovely and kind to us it did not rain at all. We made lots of money that day - all the staff were helpful and kind. I put on smart clothes to go to the Sailability awards ceremony with Mummy and I we had our meal at the Spinnaker cafe. My award was the sailing Baton. My Mum was really pleased for me I was proud of myself. This is the best thing in my life that made my day.